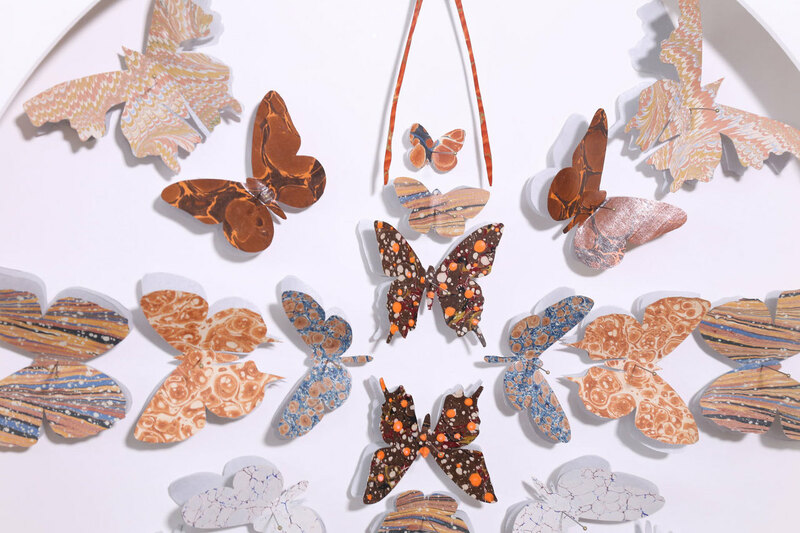 Marbleized paper butterfly box: marbleized paper of various designs and colors, from antique books, cut into butterfly shapes. 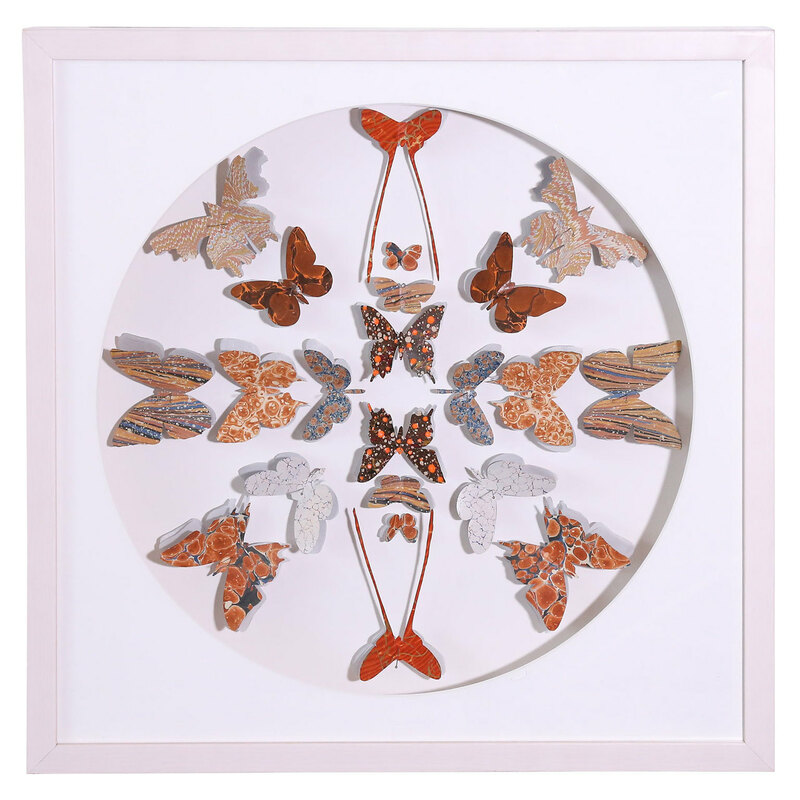 Butterfly shapes are pinned inside a framed shadowbox as specimen. Frame is white-washed maple. More can be custom created to complete a set (see last image). Condition: ExcellentNewly created from 18th and 19th century marbleized book end paper. Paper is in good condition with wear consistent with age and use. 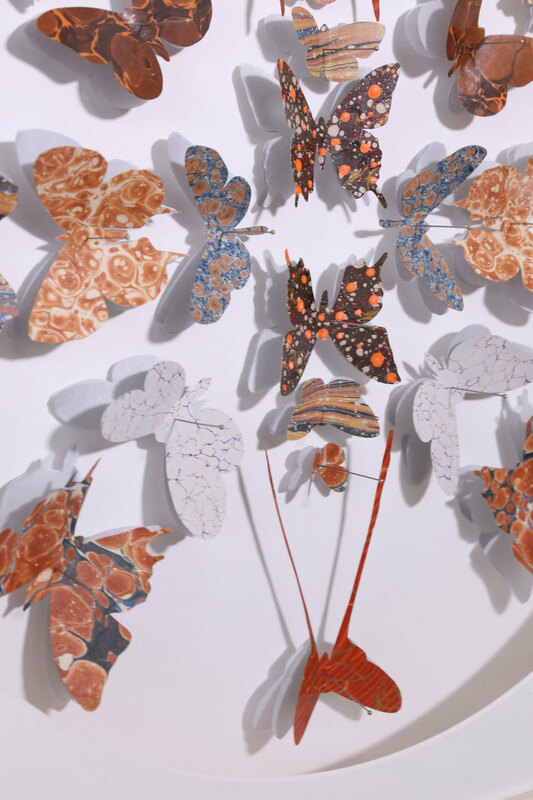 Materials: Glass, Paper, Maple and paint.